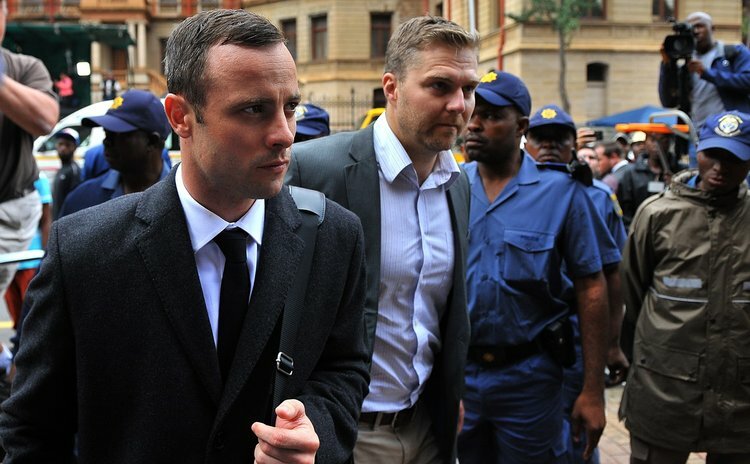 PRETORIA, July 6 (Xinhua) -- The High Court in Pretoria on Wednesday handed down a six-year sentence to Paralympian Oscar Pistorius for killing his girlfriend Reeva Steenkamp. Reading out the judgment, Judge Thokozile Masipa said the trial of murder-convicted Pistorius had many mitigating factors. "In the result, the sentence I impose on the accused in terms of murder dolus eventualis, is six years imprisonment," Masipa said. She said a long term of imprisonment will not serve justice in this matter. The accused has already served 12 months, he is a first offender and he is not likely to reoffend, according to Masipa. "Punishment is not what you choose to do. It is something that is imposed on you. By it's nature it is unpleasant, uncomfortable and painful," said the judge. "Recovery is possible. It will depend mostly on the accused's attitude of the punishment imposed on him." The life of the deceased will never be brought back, the judge said, adding that the facts considered are the gravity of the offence, the interests of society, and the rights of the deceased and the accused. "The life of the accused also has changed forever," she said. Masipa said she has considered all the evidence, submissions and case law. Last month, Pistorius's legal team argued for a non-custodial sentence citing his physical and emotional vulnerability as mitigating factors. But the state was seeking the minimum sentence of 15 years to be imposed, arguing that Pistorius failed to show remorse for his actions. The Paralympic sprinter was convicted of murdering his girlfriend Reeva Steenkamp at his home on Feb. 14, 2013. Pistorius insisted in trial that he mistook her as an intruder and his life was in danger when he fired at the door of the bathroom.